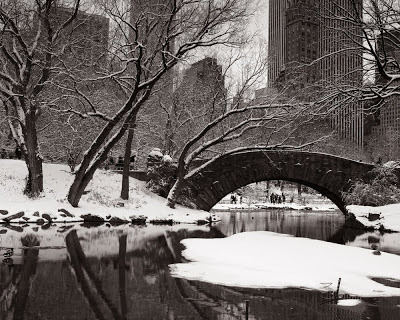 Snow is actually one thing I do enjoy about winter. Not that I'm a ski bunny or snowshoe-ing fanatic, in fact, I despise the cold. But, from the comfort of a warm house or bundled up like Randy in A Christmas Story, I do very much enjoy watching the snow fall and accumulate. And it got me thinking... at least to me, snow is the less offensive winter weather. You don't need an umbrella to walk in it. You don't need all-wheel drive to travel in it. It's soft, fluffy, and makes the dark, cold, lonely winter seem white, bright, and hopeful. Isn't it fitting, then, as we prepare for Lent... to reflect on the snow, and to remember that our times of darkness are not void of these more light and joyful moments. That, no matter what ice storms, freezing temperatures, and dangerous conditions might lie ahead, that we have something so beautiful in the midst of it all. Not just a hope for when the winter is over, and yes, be assured that it will, indeed come to an end... but a hope for these moments of clarity during the winter waiting. Except, of course, for this... which may not help prove my case for not being lame, but I'm sorry, this is funny. Oh, I needed that laugh today - that is hysterical - the meme that is!! He kind of reminds me of "The Most Interesting Man in the World" guy from the beer commercials. Anyway...great stuff. I want to see snow like that one day!! Yeah, your top picture does remind me of Elf! The snow is so beautiful. Loved both pictures! Snow makes me happy, too. Whether I'm playing in it or watching it come down. What a lovely, snowy, atmospheric post. 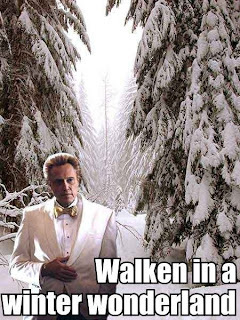 And the Walken pic had me laughing out loud! I have to admit that I love the white stuff, which is a good thing considering where we live! I also love the snow. I miss it. MORE SNOW, PLEASE. That pic makes me LAUGH OUT LOUD!! I love the snow, too. I like looking at the snow too...not driving in it or sliding around in it. Being home snug as a bug while it snows outside is nice. Ok, so I guess I am the only one that hates snow (and all things cold and wintery). I grew up in WI and then lived in MN for the first 5 years we were married. These last 7 years have been in Indiana, where the winter is short and mild, but we do have snow (though, as a northerner, pretty sure it doesn't really count as snow), a few times a winter. I love your reflection. If I can get through the winter (lent), then the beauty of spring will be joyous.